Located in the prestigious Sta. Rita Hills appellation, Foley’s beautiful Rancho Santa Rosa property is home to a 3,500 square-foot tasting room and event center. Located next to the iconic 12,000 square-foot winery building, the Hospitality Center affords visitors spectacular vistas of neighboring mountain ranges, coastal oaks and contoured hillside vines. 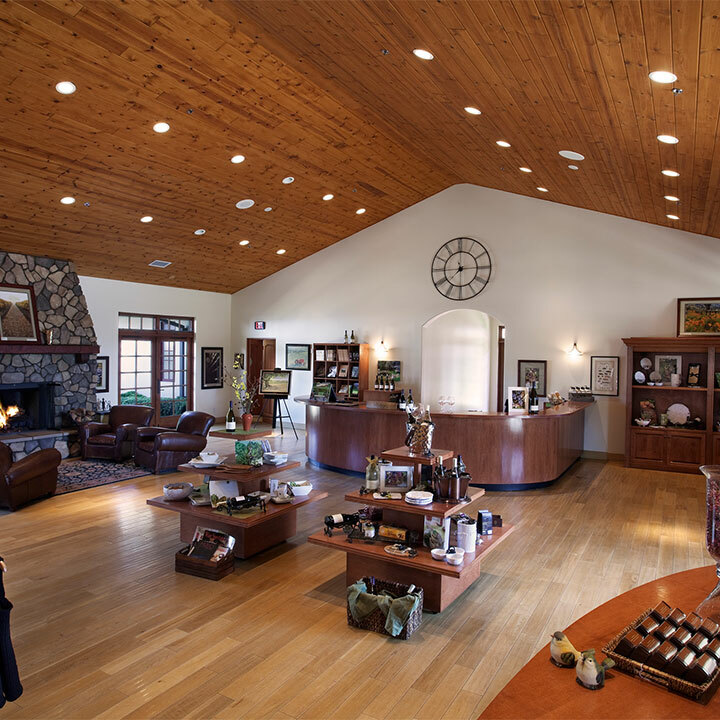 Built in 2005, the tasting room is the ideal venue to taste the award-winning Foley Estates wines. Our tasting room is open from 11 am to 5 pm daily excluding major holidays. We are occasionally closed during special events and do our best to post a dated note here when this is the case. Please note: The Foley Estates tasting room will be closed to the public on May 13th and May 20th, 2019. We apologize for any inconvenience. Enjoy a five wine flight with a hospitality attendant and learn about the history, terroir and new release wines of Foley Estates. Available daily from 11 am to 5 pm. No appointment necessary for groups less than 6 people. For groups of 6 or more, please call us at (707) 708-7696 or email Visit@foleyfamilywines.com to check availability. Participants will enjoy a flight of 4 wines, each strategically paired with the cheese that best highlights the components of the wine with a wine education expert. Includes boxed lunch of your choice from Lucky Hen Larder. 3 Premier Properties. 1 Great Experience. Come to Experience the origin of Foley Family Wines. Our Toast to the Coast experience features three of our premier properties and some of the most prestigious vineyards located in beautiful Santa Barbara County. Reserve up to 5 hours for the complete experience. Enjoy a splash of white wine upon arrival along with an in-depth tour of our picturesque property. 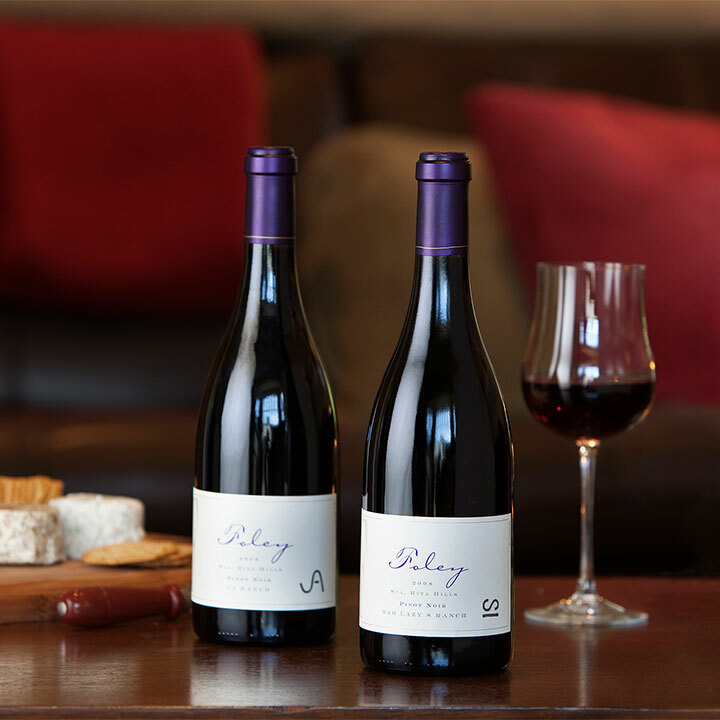 Next, enjoy a flight of Foley Estates wines perfectly paired with assorted artisanal cheeses where guests will learn the how and why behind the delicious pairings plus how to easily recreate a similar experience while entertaining at home. Lounge and enjoy stunning views and delicious wines just minutes from the town of Los Olivos. Partake in a Lincourt tasting flight followed by an inspired picnic-style lunch provided by local artisan restaurant, The Lucky Hen. This is the perfect way to spend a relaxing afternoon with friends. Experience Santa Barbara County’s very first estate winery, established by the heirs of one of the United States’ most legendary Captains of Industry, Harvey Firestone. Join us for a private tour of our historic property and get to know the secrets of our success, including wine production from grape to glass.